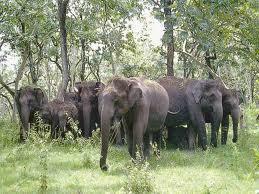 This resource gives the details of Mudumalai wildlife sanctuary in Tamilnadu. The profile, Animals, accommodations and other information about Mudumalai is also presented in this resource. This resource also exhibits the transport facility, Nearest places to Mudumalai wildlife sanctuary. The Mudumalai wildlife sanctuary is located in Tamilnadu which lies between Karnataka hills and Kerala hills. It is about 1000 meters of altitude from the sea level. It consists of 321 Square kilometers of lands. The nature of this land created many trees, wooded hills, plateaus, deep valleys, waterfalls, many rivers, marshes, and streams. The annual rain falls in this place is about approximately 2300 MM. The best season of this place is September to May. Mudumalai Wildlife Sanctuary & National Park is located in the junction area of the three states namely Karnataka, Kerala and Karnataka. This was the first sanctuary in south India and was established in the year 1940. It includes 320 Square KMS of the area. There are various Birds and Animals are living in Mudumalai forest. The forest area is maintained by Tamilnadu forest Department. The National park is also located in Mudumalai which having many resorts and accommodations to all. The national parks provide the facility to stay. It accommodates various types of mammals like Elephant, Tiger, Panther, Lion, Cheeta, Bear and Deer. The various types of birds are also staying there. The famous hill station of Tamilnadu, The queen of hills, The mountain of Nilgiris, Ooty is nearest to Mudumalai which is just 64 KMS from Mudumalai wildlife sanctuary. There are many places and sightseeings are available in Ooty. It is also a good place to spend our summer holidays. Coimbatore is a very famous industrial area in Tamilnadu which is 160 KMS long from Mudumalai. There are many textile mills and factories, IT companies, Airports and Railway stations available. By Air:The nearest Airport to Mudumalai wildlife sanctuary is Coimbatore Airport. It is about 160 KMS long from Mudumalai wildlife sanctuary. Then Helicopter facility can also be arranged to reach Ooty. After that, The Road facility is there to reach Mudumalai wildlife sanctuary. By Train:The nearest railway station to Mudumalai wildlife sanctuary is Udagamandalam(Ooty) which is 65 KMS long from Mudumalai wildlife sanctuary. One more railway station in Mysore which is located on 95 KMS long. By Road:The nearest town to Mudumalai wildlife sanctuary is Gudalurwhich is 16 KMS long. 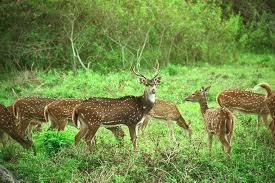 We can reach Mudumalai wildlife sanctuary by road via Gudalur which is situated along the Udhagamandala Mysore highway. There are various resorts available to stay in Mudumalai wildlife sanctuary. They are Jungle Retreat Mudumalai, Blue Valley Jungle Resorts, Monarch Safari Lodge and Forest Hills Farm and Guesthouse. All these resorts is situated in the main place of Mudumalai forest. We can watch all the places of Mudumalai wildlife sanctuary from these resorts. We can see the elephants very closely by staying in these resorts. The full security forces are provided to these resorts to protect the tourist peoples and save them from the animals. The Pichavaram is a wonderful and amazing place which is near to Chidambaram of Guddalore District in Tamilnadu. 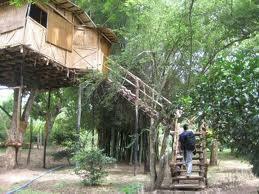 It is fully covered by mangrove trees with water. This place is very famous and best for one day visit and can travel to all the places through boat. This resource exhibits the full information about pichavaram mangrove forest.